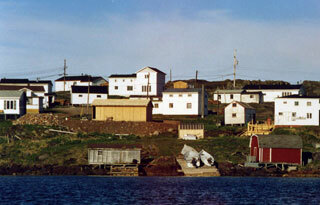 Red Bay, established by Basque mariners in the 16th century at the north-eastern tip of Canada on the shore of the Strait of Belle Isle is an archaeological site that provides the earliest, most complete and best preserved testimony of the European whaling tradition. Gran Baya, as it was called by those who founded the station in 1530s, was used as a base for coastal hunting, butchering, rendering of whale fat by heading to produce oil and storage. It became a major source of whale oil which was shipped to Europe where it was used for lighting. The site, which was used in the summer months, includes remains of rendering ovens, cooperages, wharves, temporary living quarters and a cemetery, together with underwater remains of vessels and whale bone deposits. The station was used for some 70 years, before the local whale population was depleted. This article uses material from UNESCO World Heritage List article "Red Bay Basque Whaling Station", which is released under the Creative Commons Attribution-Share-Alike 3.0 IGO License.